A medical emergency aboard a flight bound for Ethiopia's capital city diverted a plane to St. John's on Wednesday. 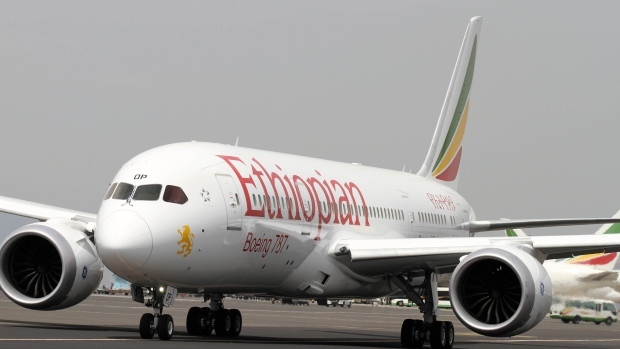 Ethiopian Airlines Flight 501 landed in St. John's at about 4 p.m NT, according to Erika Kelland, a spokesperson at the St. John's International Airport. Kelland said there was a medical emergency on board, but had no other information about the incident or how long the plane would remain in St. John's. The plane left Washington, D.C. at 11:30 NT and was set for a flight of about 13 hours to Addis Ababa. 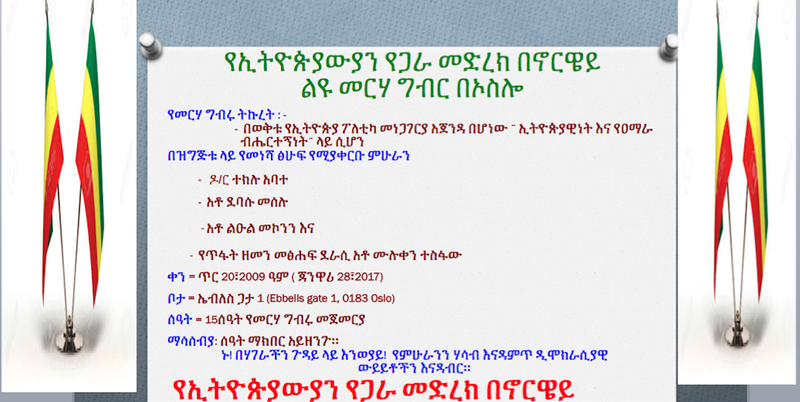 ይህን ጽሑፍ ለመጻፍ ምክንያት የሆነኝ በኢትዮጵያዊነትና በአገር አንድነት ዙሪያ በማኀበራዊ የመገናኛ ብዙኀን እየተደረጉ ያሉ ሙግቶች ናቸው፡፡ በማኅበራዊ ገጾች ከሚሰራጩት ጽሑፎች መረዳት እንደሚቻለው በስደት ባሉ አንድአንድ ወገኖች ኢትዮጵያዊነት ከጎሰኝነት በታች የሆነ: ከዚህም አልፎ በጥቂቶች የተጫነ ማንነት ተደርጎ በመወሰድ ላይ ይገኛል፡፡ እነዚህ ሰዎች ከአብሮነት ልዩነትን: ከትልቅነት ትንሽነትን መርጠው የፈጠራና የተዛባ ታሪክ በመጥቀስ ኢትዮጵያዊነትን በማንኳሰስ ጎሰኝነትን ለማንገስ እና የአገር አንድነትን ለማፍረስ ሲቃዡ ይስተዋላል፡፡ ለመሆኑ ከሦስት ሺህ ዘመናት በላይ በአያት ቅድመ አያቶቻችን ዘርፈ ብዙ መስዋእትነት ተከብሮ የኖረው ኢትዮጵያዊነትና የአገር አንድነት አዲስ እንደተፈጠረ ማንነት የመነጋገሪያ ርእሰ ጉዳይ ሆኖ ከማየት በላይ ምን የሚያሳፍር ነገር አለ? Budge, Wallies E.A., 1928. History of Ethiopia, Nubia and Abyssinia (Vol. I). Routledge: Taylor and Francis Group. Ethiopian Orthodox Tewahdo Church Holy Synod, 1990. Today’s Ethiopia is Ethiopia of the Holy Scriptures, History and Antiquity: Resolution of the Holy Synod of the Ethiopian Orthodox Tewahdo Church. Addis Ababa. Frank M. & Snowden, Jr. 1970. Blacks in Antiquity: Ethiopia in the Greco-Roman Experience. The Belknap Press of Harvard University Press; Cambridge, Massachusetts, London. Levine, Donald N. 1974. Greater Ethiopia: the Evolution of a Multiethnic Society. The University of Chicago Press: Chicago and London. Sergew Hable Sellassie, 1972. 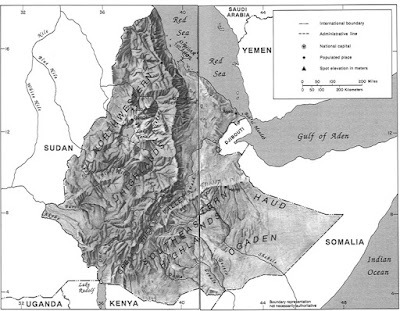 Ancient and Medieval Ethiopian History to 1270. Addis Ababa. Tekeste Negash, 2016. Woven into the Tapestry: How Five Women Shaped Ethiopian History. 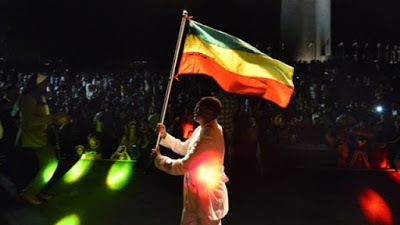 የኢትዮጵያ የነገን ፖለቲካ ለማስተካከል ማን ምን የስራ?